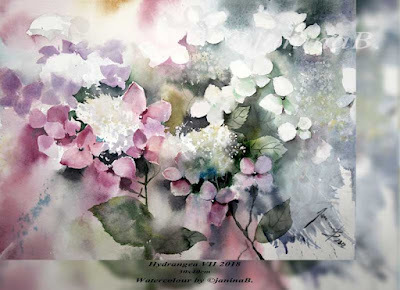 Hydrangea VII 2018 / 30x40cm / Watercolour by ©janinaB. 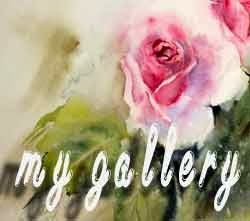 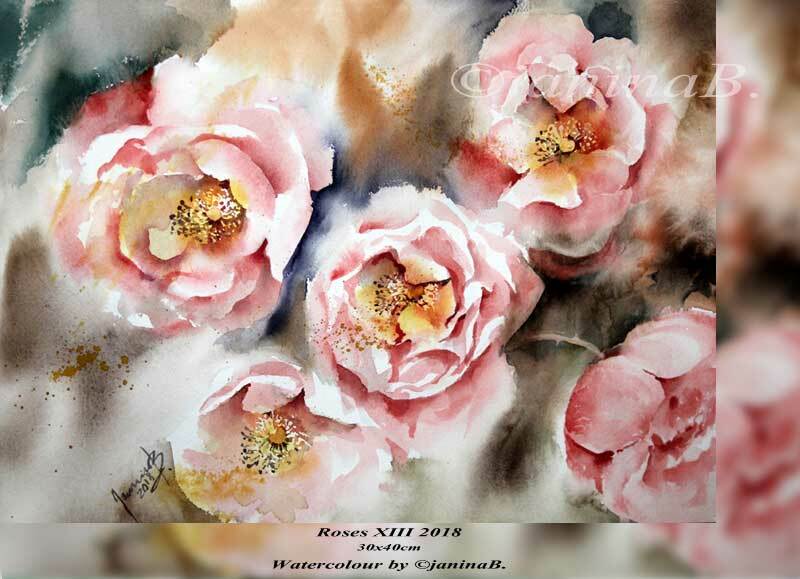 Roses XIII 2018 / 30x40cm / Watercolour by ©janinaB. 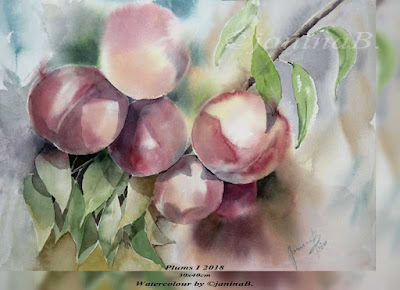 Plums I 2018 / 30x40cm / Watercolour by ©janinaB. 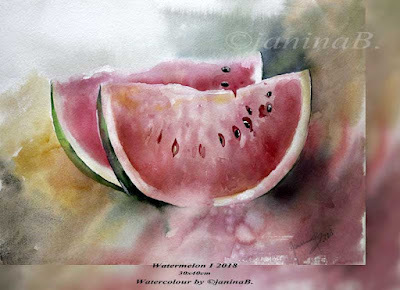 Watermelon I 2018 / 30x40cm / Watercolour by ©janinaB. 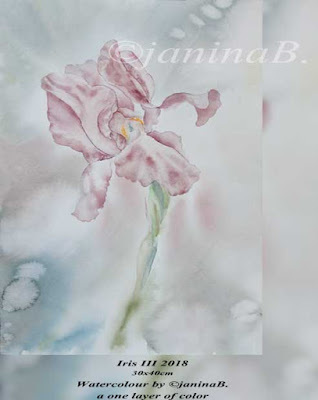 Iris IV 2018 / 30x40cm / Watercolour by ©janinaB. 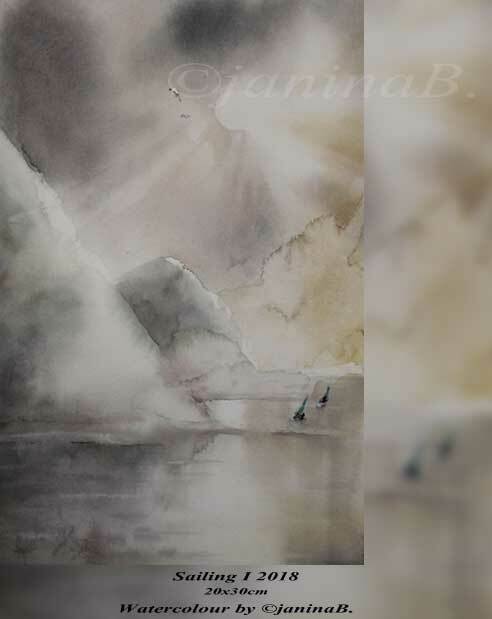 Sailing I 2018 20x30cm / Watercolour by ©janinaB. 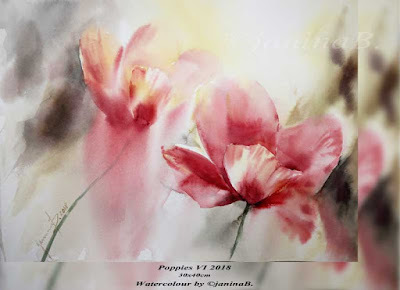 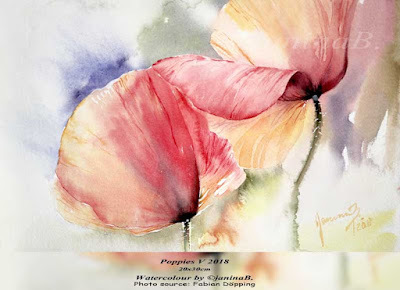 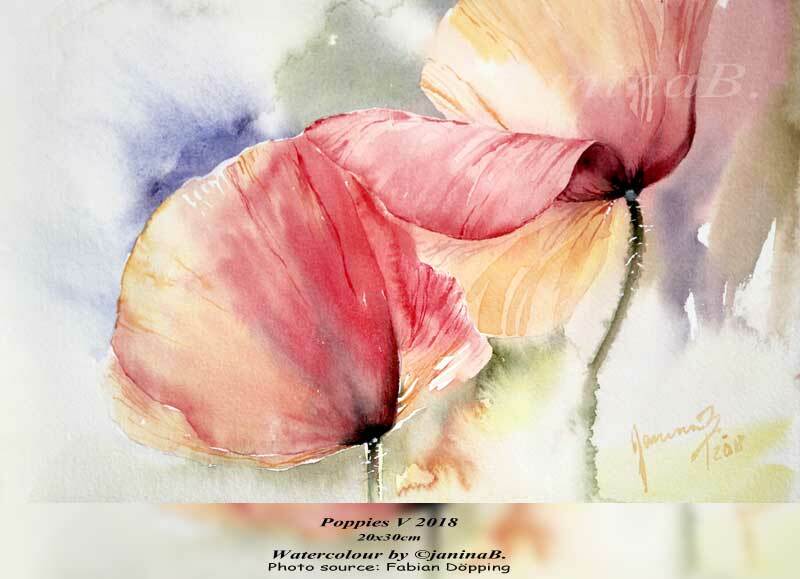 Poppies VI 2018 / 30x40cm / Watercolour by ©janinaB. 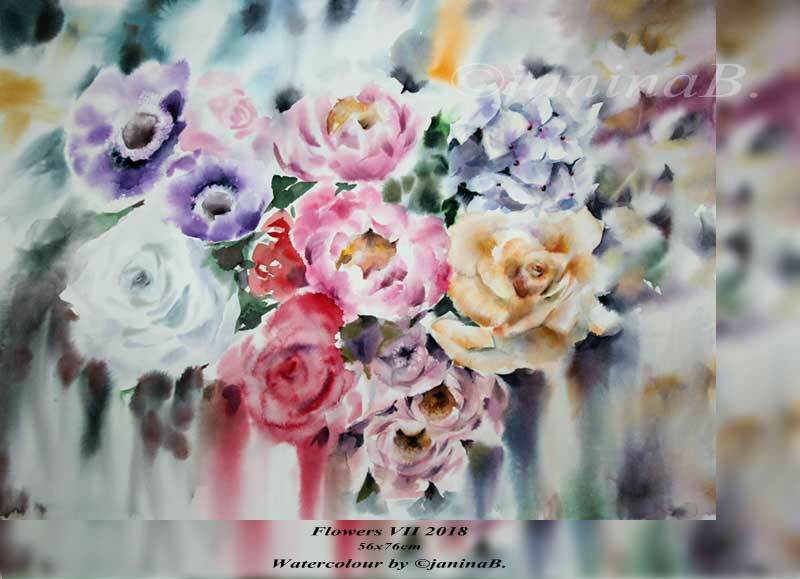 Flowers VII 2018 / 56x76cm / Watercolour by ©janinaB. 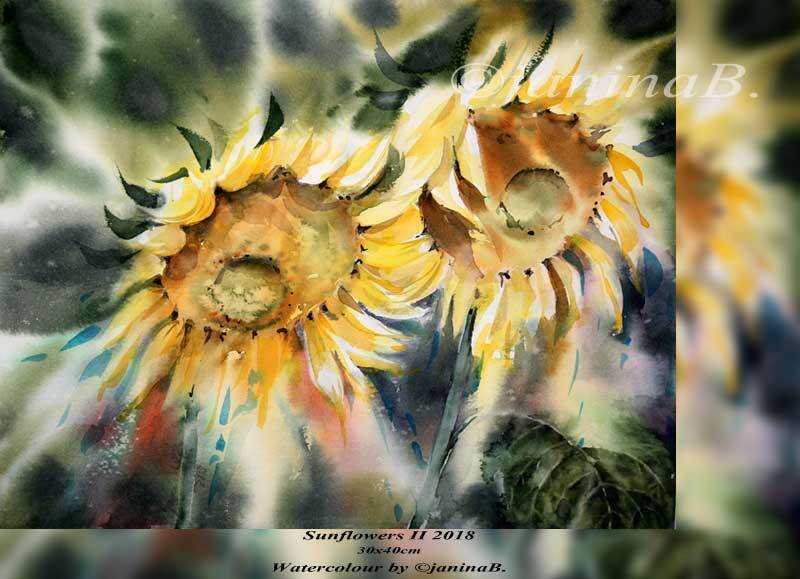 Sunflowers III 2018 / 20x30cm / Watercolour by ©janinaB. 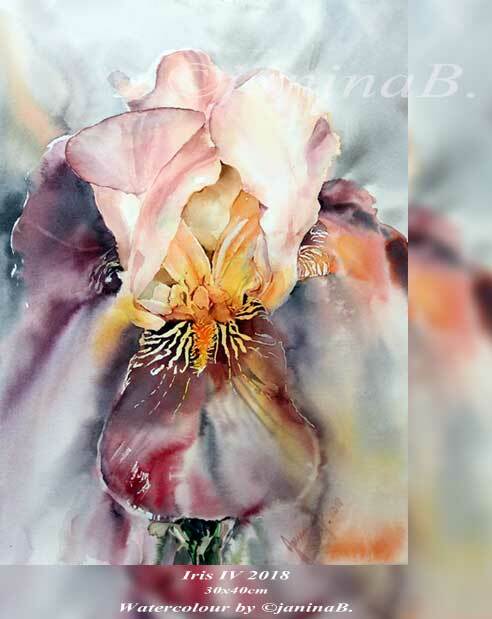 Iris III 2018 / 30x40cm / Watercolour by ©janinaB. 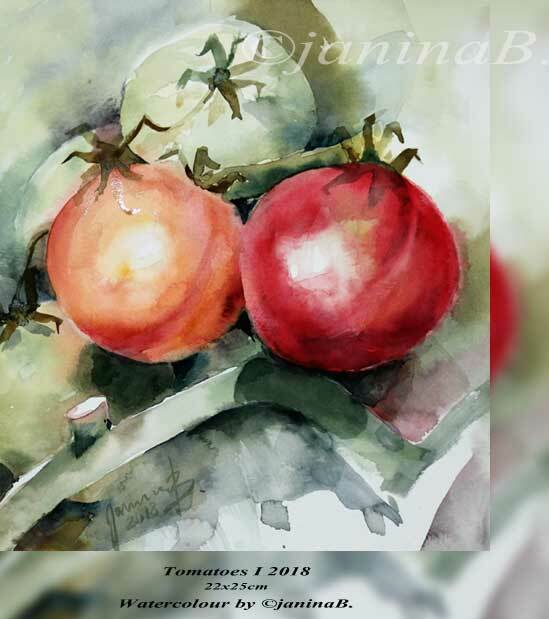 Tomatoes I 2018 / 22x25cm / Watercolour by ©janinaB. 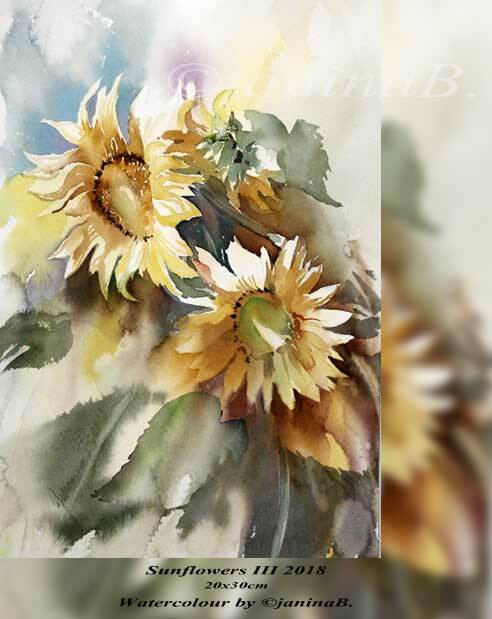 Sunflowers II 2018 / 30x40cm / Watercolour by ©janinaB. 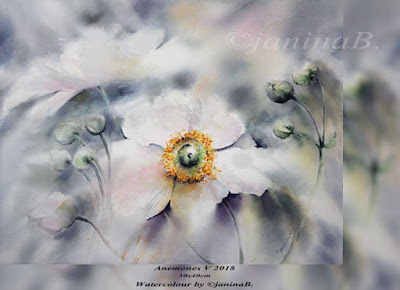 Thistle I 2018 / 30x40cm / Watercolour by ©janinaB. Anemones V 2018 / 30x40cm / Watercolour by ©janinaB. 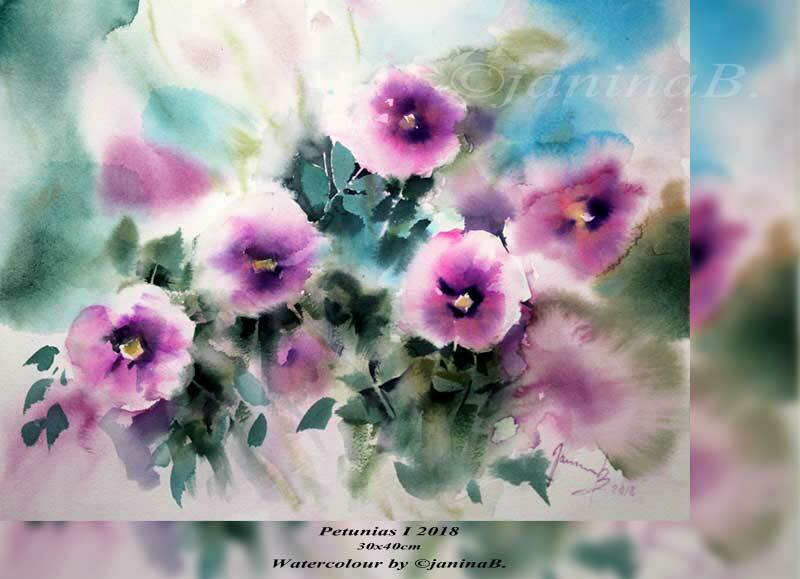 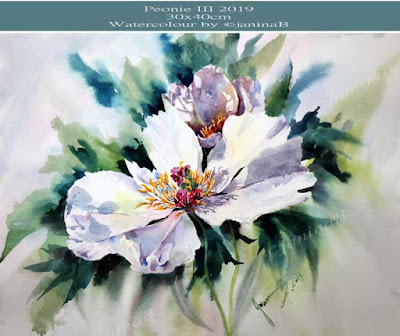 Petunias I 2018 / 30x40cm / Watercolour by ©janinaB.